If you’ve ever found yourself exhausted, confused or simply staring out into space, you’re not alone. The world, and especially the workplace, is a busy place and only getting busier and more complex. It’s easy to feel overwhelmed and helpless with the constant barrage of daily emails, phone calls and people asking for your time. I run several businesses and, in light of these daily stressors, I actively strive to create a company culture of peace, productivity and dialogue. One tool that I have recently turned to, for myself and across all of my organizations, is meditation. Meditation increases awareness and compassion. I experienced a particularly powerful and interesting “aha!” moment during one of our company meditation sessions. I remember feeling a little surprised when our instructor told us that she doesn’t believe in good or bad; instead, she believes that we should focus on awareness. To my analytical mind, this didn’t make sense at first. But as I thought about it, I realized that what she meant was that we shouldn’t carve up the world into dichotomies of good and bad, but rather we should experience sensations. Yes, most of us have an inherent sense of what’s good or bad. But if we aren’t conscious about what we are saying or doing, we may not even realize when our words or action are “bad.” For example, one of my personality traits is that I’m rather blunt, and, unfortunately, sometimes I unintentionally say things that my wife considers to be too blunt. The fact is, she’s right. I now realize that if I had been more aware of my words and how they were making her feel, I wouldn’t have said them in the way I did. Luckily, meditation has helped me become aware of how I say things to anyone, ranging from family members to employees. I have also noticed that as we meditate as a company, my employees (even the more “blunt” ones) have become more calm, more kind and more aware of how the company operates as a unified whole. We feel more connected to colleagues, staff and customers. Business has become more than just a transaction — it’s an organic collaboration and dialogue. Meditation helps your business’s bottom line. Research has shown that meditation can actually improve the immune system in quantifiable ways. Not only does meditation lower cortisol levels in the body and decrease depression – it also reduces inflammation and boosts wound healing. Interestingly, businesses that have incorporated meditation in company culture have seen that it benefits their bottom lines. For example, Aetna reported that healthcare costs actually went down at the company the first year that they started meditation. There is empirical evidence that meditation doesn’t just offer psychological benefits; it is also a restorative practice that boosts health, which in turn boosts productivity. Its secular nature makes meditation a perfect fit for most businesses. While meditation has its roots in traditional Eastern practices, the way it is practiced today does not have to be religious. I have employees and remote employees from all over the world. While they come from different backgrounds, meditation’s secularization has made it accessible to pretty much everyone. Because meditation does not privilege one belief system over another, all my employees can meditate, regardless of his or her belief system. 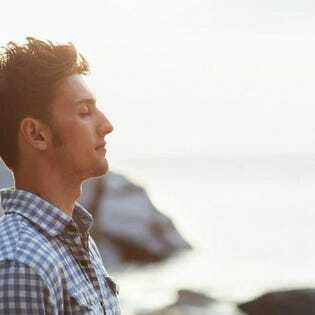 How can you avoid common meditation pitfalls? While meditation has a myriad of positive effects, it is not automatically a perfect system. For example, there are many self-taught meditation coaches, and they are not all the same quality. Make sure you hire someone who is credible and who is a good fit for your company. To do this, you may want to ask them key questions, such as: What is your meditation lineage (e.g., who trained them)? Where were you trained? Are you still actively studying meditation developments? I also always ask them what prompted them to become a meditation teacher. The answer to this last question especially can reveal if they are a good fit for your company. Even with the best instruction, it’s easy to believe that meditation is a panacea. While meditation won’t fix every problem, it can help us deal with life’s realities. In practical terms, I remind my employees that there is a difference between “expectations” and “flow.” Expectations fight for a rigid attachment to outcomes. Meditation, on the other hand, seeks “flow,” or a state of mind that is flexible and adjusts to reality. Flow embraces uncertainty and cultivates the ability to keep moving forward even in the face of unplanned obstacles, much like a river does when it bumps into rocks and uses them to flow faster. In short, meditation has changed my life, and for that reason, I’ve incorporated it both in my personal life and throughout my organizations. On a personal level, I set time aside each morning before my family wakes up to meditate. At work, I incorporate team meditation at least once a week and even include my remote employees. On days we don’t meditate, I encourage my employees to set aside their digital devices for a few minutes a day to refocus on their meditation goals. In my own experience, I have found that I don’t need to incentivize participation in team meditation. My employees appreciate the brief pause in their workday to meditate. However, if an employer feels like they need external incentives, even small rewards can motivate participation, such as gift cards, T-shirts or discounts on insurance premiums. However, I always try to stress intrinsic incentives (e.g., better health) over extrinsic rewards. From all levels of my company, I have found that meditation has improved concentration, self-awareness, health, creativity and compassion. Because meditation can transform your life and your business, I highly recommend integrating the practice into your company’s routine. Your peace of mind — and your business — will thank you!